I'm back, what to brew. Well I'm ashamed to say I haven't brewed since August 12th. I feel like I don't even know how to. Things have been busy for me and yeah that's a sad excuse, I don't even have kids! I haven't even really popped into the brewery forum at all in months. Anyway I plan on brewing on Sunday. Before I stopped last summer I had bought a pack of the Bayern yeast everyone was talking about at the time to make a Dunkel. Now I'm not really feeling that and need something else to brew. The question is should I even take the time trying to wake this yeast up(dated 7/28/18) or just go grab something else? Also what to brew with the Bayern if I stick to it. I would like something a little lighter with some moderate hops. I only have some Swaen Pils as a base to work with, but plenty of other stuff like Vienna, Munich and other stuff. So what do you guys think? I feel like a newb. you can make a starter and see if it wakes up and smells reasonable??? that's an option. as for a beer you can make: use the pils you've got along with some vienna. you have any carapils? I might throw a little of that in. hop with some contenential hops or maybe an american equivalent. 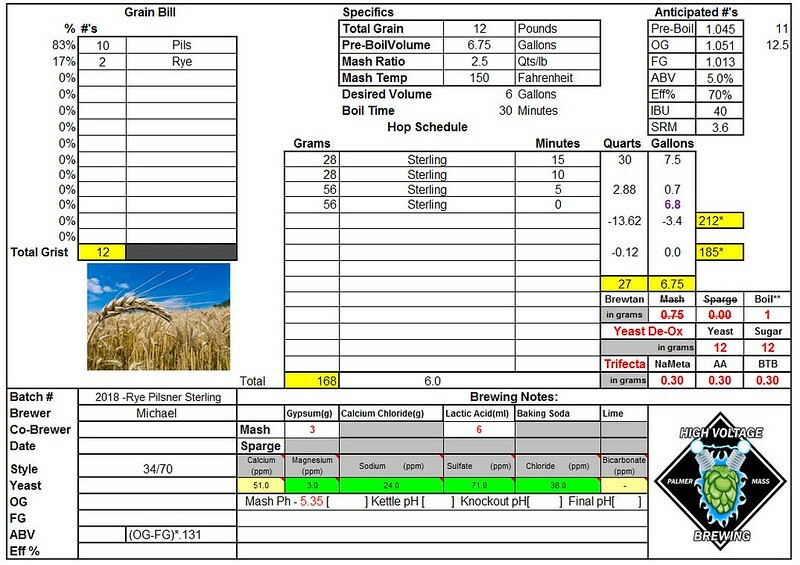 what have you got for specialty grains and hops? Or a nice easy Helles or rye pils. All will work good with that yeast. Its 8 bucks for fresh yeast. Unless you get off on the geekery of bringing that old yeast back to life and nuturing it, then its really not worth the time and effort. Matt, our little brotherhood here is all about the Vienna Lager. A nice simple recipe to dip your toes in and a super enjoyable lager to boot. Yeah it's not about the money. If I could pay $10 and have this yeast magically be fresh I would. Just can't get much for yeast around here and definitely not Bayern. Thanks for all the suggestions guys. I got the brewing wheels turning again. Funny, I just had a sample of the edelweiss beer and while it needs to carb a bit more I really like it. Very good Nobel character from them. Cool, I will give it a go for sure. Well this Bayern yeast is a no go. I picked up some Mangrove Jacks's M54 yesterday on a whim. Hopefully that wasn't a mistake. Anyone with some experience with that yeast? Have not used that particular one but the Mangrove Jack's yeast I have used took a bit longer to start so just keep that in mind. Ok, thanks. Will update with my experience. All cleaned up and in the fermenter. 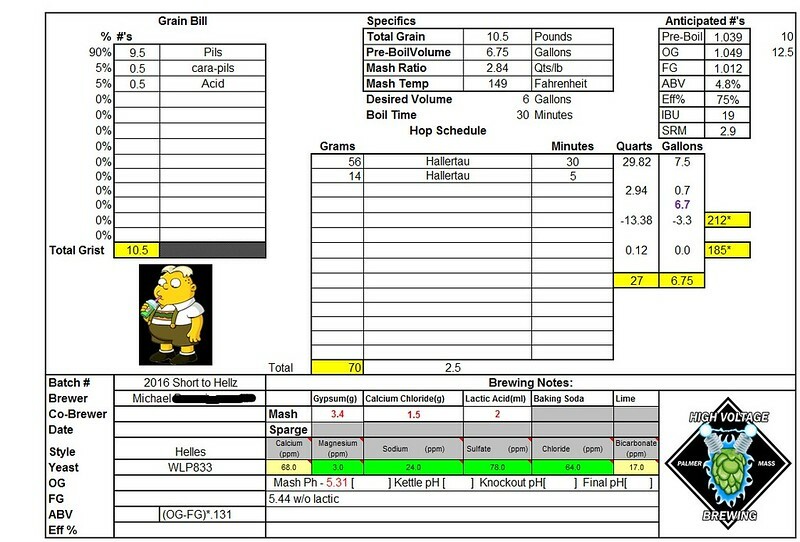 ah - I thought you were low on pils and would need to use more vienna/munich for base malt. enjoy your fermentation. one of my favorite parts of the process! Congratulations on your back to brewing brew! I know I felt relieved after I brewed again and tapped the beer. It really is satisfying and gives you something to focus on rather the rest of the crap in life. Well I didn't get a very accurate time on when the M54 yeast took off. At the 24 hour mark there was no activity. I didn't look again until the 48 hour mark and it was rolling along pretty good. So somewhere between 24 and 48 hours. 36 is what I remember but at least it is going for you. that's within what I would consider common.